The public display of affection that Diamond Platinumz and Tanasha Donna shower out to each other is a true definition of the first stages of a beautiful part of a relationship. It is always true because the first stages of love are always all about affirmation and reassurance that there is love and deep love for that matter. Here, Baba Tiffa (Diamond Platnumz) quickly replied to her post assuring her how she is his everything. Nakupenda we Mwanamke hadi Naumwa!!!! 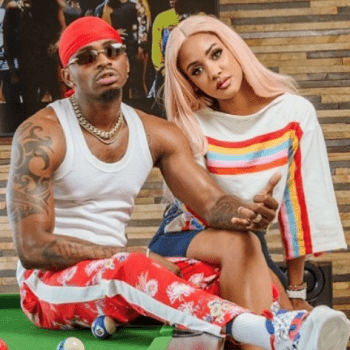 However, Tanasha’s online in-laws did not welcome the idea at all and were quick to remind her about the way Diamond was treating his ex-girlfriends.